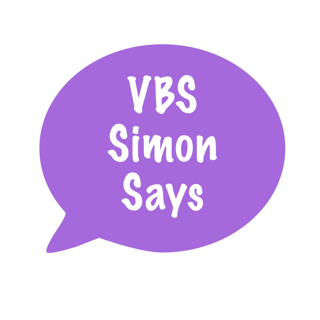 Crafts are a staple at VBS! 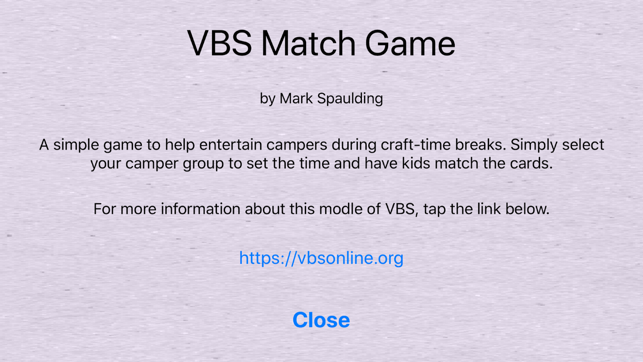 This model for VBS invites campers to create crafts in three separate 20-minute blocks. Sometimes, campers finish early and are ready for something else. 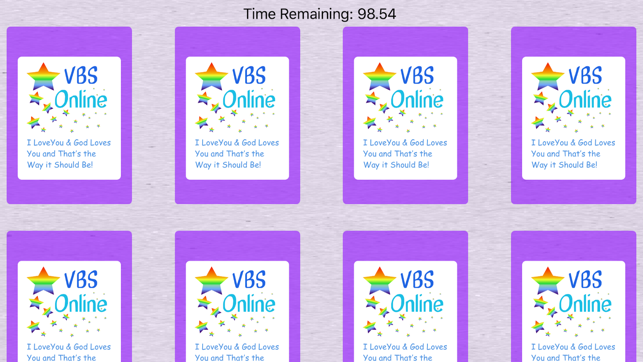 In steps the VBS Match app. 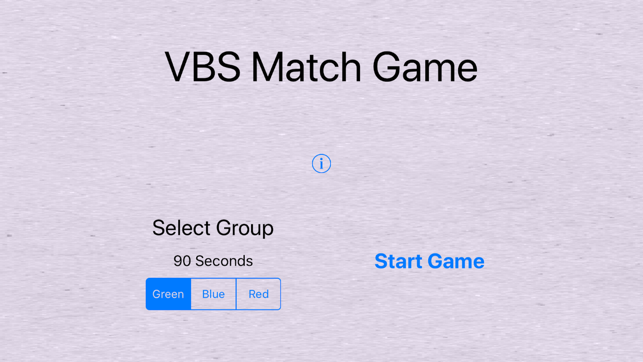 Select the timing of the app based on the camper color group: green: K&1, blue: 2nd & 3rd, red: 4th+ hand your iPad or iPhone to your camper and tap start for them. Bug fix for card layout on all iPhones and iPads. I think I zapped it this time!